A mold contamination in your Logan, NJ home or business is not only unpleasant, but it can be very menacing and distressing. The water damage promoting the mold growth will wreak havoc on your building structure, compromise the structural integrity of the property, and decrease your property value. Not to mention, certain molds can release mycotoxins that are harmful to humans. 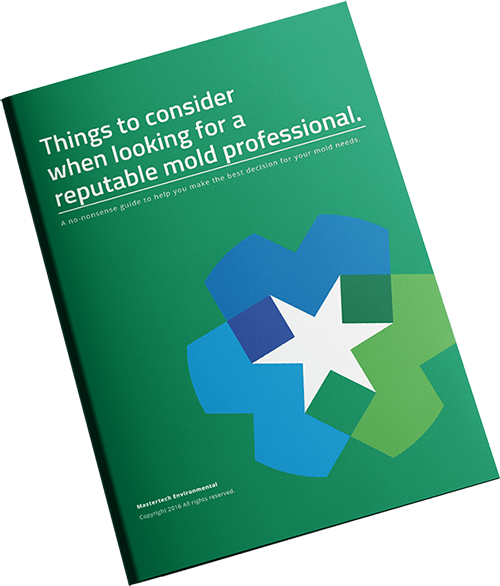 If you are faced with a mold problem, consider calling a reputable mold professional to promptly and properly assess the situation and provide an appropriate course of action. A thorough mold inspection in Logan, NJ, conducted by a certified professional, will be able to determine if you have mold, how bad it is, how to properly get rid of it and how to prevent it from returning. When it comes to mold, MasterTech’s certified team of experts understands and appreciates the risk that you and your family are up against. That is why we have taken every measure to carefully train each of our inspectors and technicians to handle all cases swiftly and efficiently while remaining mindful of you and you family’s safety and best interest. At MasterTech, we are devoted to providing New Jersey home and business owners with a high quality, honest, and affordable mold removal service. Do you think you are detecting signs of mold development in your New Jersey home or business? You should consider calling a professional mold company in New Jersey to have your home inspected. A certified MasterTech mold inspector will complete a visual evaluation to identify any conditions that can promote mold growth. With the use of moisture meters and thermal imaging readers, your inspector will be able to isolate all damp building materials and track the course of the water migration to understand potential mold growth patterns. If necessary, samples can be collected for scientific analysis. Diagnose the water source and determine the start and end of the water damage. An incorrectly or poorly completed mold remediation can put your property at risk for further damage. In some cases, a poorly executed mold remediation can actually worsen the mold contamination and allow the mold to spread to previously unaffected areas. MasterTech has taken time and care to strategically develop a step-by-step mold removal process that incorporates the safest, the most effective and most advance mold removal methods and technologies to ensure that you receive the safest and most effective mold remediation in Logan, NJ. At MasterTech, we use oxidative mold remediation that harnesses oxidizing agents, surfactants and surface cleaners that target bio-contaminates found in our homes, schools and commercial buildings. The oxidative remediation process has been proven to be more effective at removing bio-contaminants than any other remediation method in use today. Not only is the process more effective, it is also environmentally safe. The process does not require the use of powerful pesticides and there are no dangerous residual chemicals or heavy metals remaining after remediation. Because the process is safer and more effective, Mastertech’s professional remediators are able to increase project safety and efficacy. Causation: A proper mold remediation, in part, means diagnosing and properly addressing the water source promoting the fungal activity. Prior to any remediation, your MasterTech inspector with complete a comprehensive assessment of the affected areas and all the surrounding areas. Using moisture meters and thermal imaging cameras, your inspector will be able to analyze the water damage in the most non-invasive way possible. During remediation, once the technicians have placed proper containment barriers, the crew will be able to get a closer look at what the is promoting the mold growth and confirm the water source. Containment: Containing the mold contamination is essential to successful mold removal in Logan, NJ. Microscopic mold spores can easily become airborne and travel to unaffected areas. If contaminated areas are not properly isolated, mold spores can land on clean, unaffected building materials and colonize the new environment. MasterTech mold technicians are fully trained to properly construct appropriate containment barriers to reduce the risk of cross-contamination during your mold remediation. Cleaning & Disposal: Most mold can be safely removed from most surfaces of your Logan, NJ home without the use of toxic agents. In some, more aggressive, mold cases, contaminated materials may be non-salvageable and will require safe removal and appropriate disposal. MasterTech technicians are trained in the most advanced techniques for the safest, most effective, and most efficient removal and disposal of moldy materials. As proof of our commitment to the well-being of you and your family, MasterTech includes a 5-year mold-free warranty with every Gloucester County, NJ mold removal. It is a promise that not only is the mold gone, but it will not come back. If you suspect mold contamination in your NJ home or business, call us today to schedule an appointment with our inspector. For mold removal and mold inspection in Harrison, NJ or mold removal and mold inspection in West Deptford, NJ call 609-948-8844.